A Delicate Balance: Understanding the Four Humors. A Delicate Balance: Understanding the Four Humors, Josiah Charles Trent History of Medicine Room, David M. Rubenstein Rare Book & Manuscript Library, Duke University. Photo credit: Ashley Rose Young. The four humors were a means of analyzing a person’s disposition as well as her physical, mental, and emotional health. Within this belief system, every person had a unique humoral composition that shaped her behavior, appearance, and interactions with the broader world. Visualized as bodily fluids whose levels were constantly in flux, Hippocrates named the four humors black bile, phlegm, yellow bile, and blood. Each humor was paired with one of the four elements of earth, water, fire, and air and was assigned qualities of cold, moist, dry, and hot. Their influence on the body changed with external factors like the time of day, the season of the year, and the age of a person. The origins of this medical philosophy and practice are attributed to the Indian Ayurveda system of medicine as well as ancient Greek, Roman, and Islamic physicians. This holistic approach to human health was pervasive in the Medieval and Early Modern periods and remained a common means of assessing and treating the human body until major advancements transformed medical practices in the mid-nineteenth century. 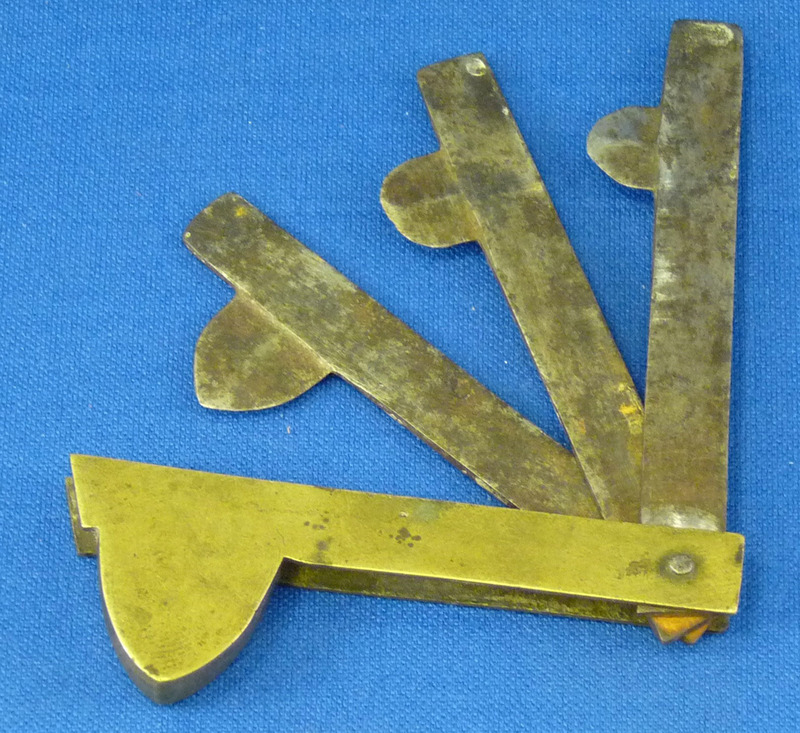 Prior to these innovations, medical practitioners sought to help ailing patients by restoring the delicate balance of the humors and did so through techniques such as bloodletting and herbal remedies. The new exhibit features a bloodletting fleam that a physician would have used to lance open a vein to remove excess blood from the body so as to bring equilibrium to a patient’s internal fluids. In the United States, doctors employed bloodletting through the Civil War to treat soldiers suffering from infection and fever. 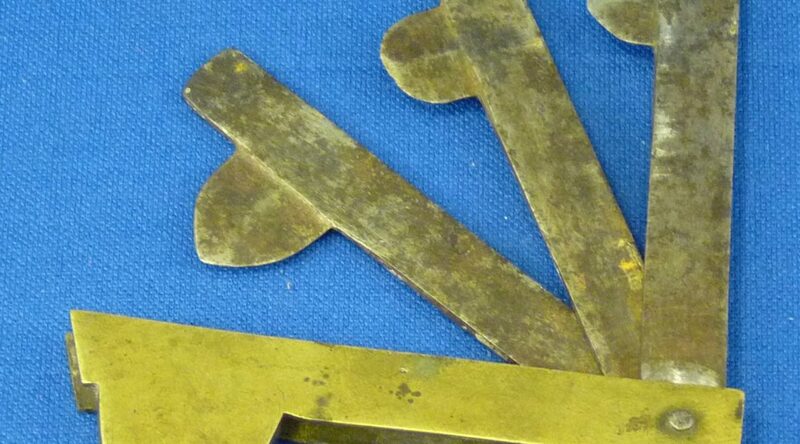 Three-blade folding fleam with brass shield, 18th or 19th century, Dr. Callaway Collection Artifacts, David M. Rubenstein Rare Book & Manuscript Library, Duke University. Consumption also played a major role in balancing the four humors. Throughout Early Modern Europe, for example, physicians kept gardens with plants that were assigned to a particular humor. They believed that patients could restore their bodies to full health by consuming carefully crafted herbal remedies comprised of stems, leaves, fruits, and nuts. Practitioners organized gardens to represent the potency of medicinal plants. Some of these historic gardens still exist today. 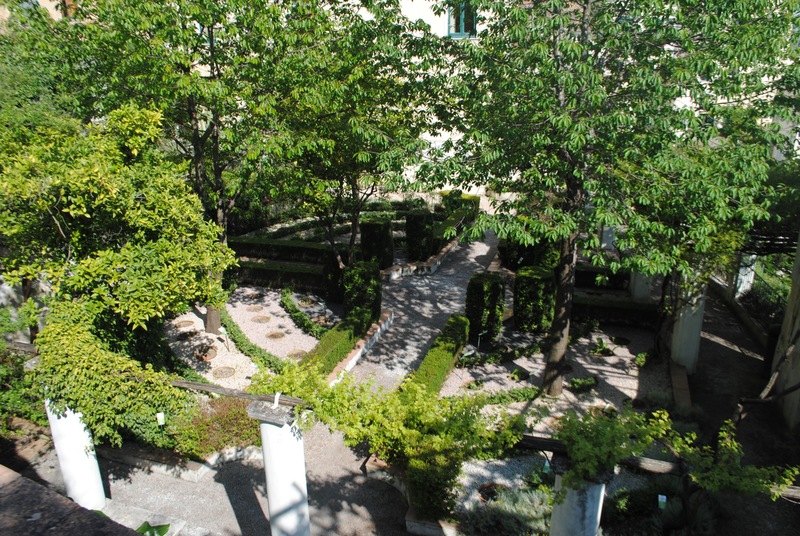 The circular Minerva Garden in Salerno Italy, for example, is divided into four quadrants representing the four humors with the most potent plant life at the center of the garden. This garden is a physical embodiment of the healing powers ascribed to plants within the humoralist system. Minerva Garden, Salerno Italy. Photo credit: Ashley Rose Young. 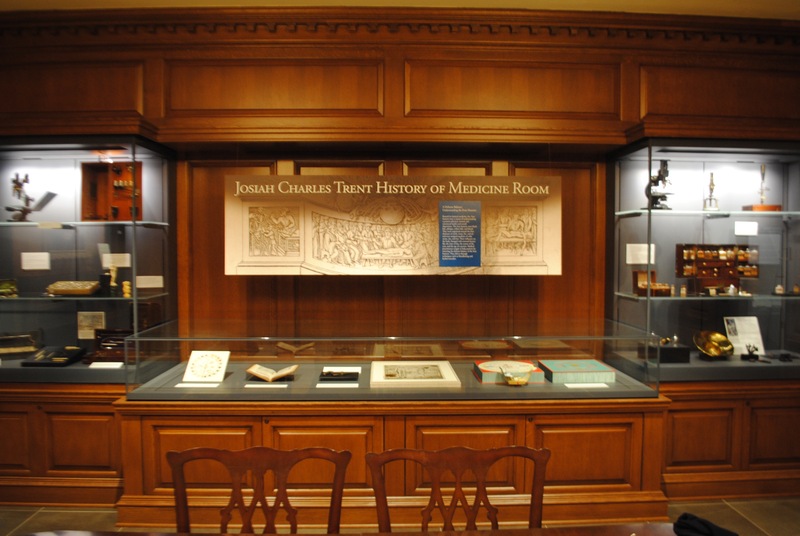 In the next few weeks, I encourage you to visit the Josiah Charles Trent History of Medicine Room on the first floor of the Rubenstein Rare Book & Manuscript Library so as to glimpse into the rich history of the four humors and their impact on medical practices in the Early Modern period through today. 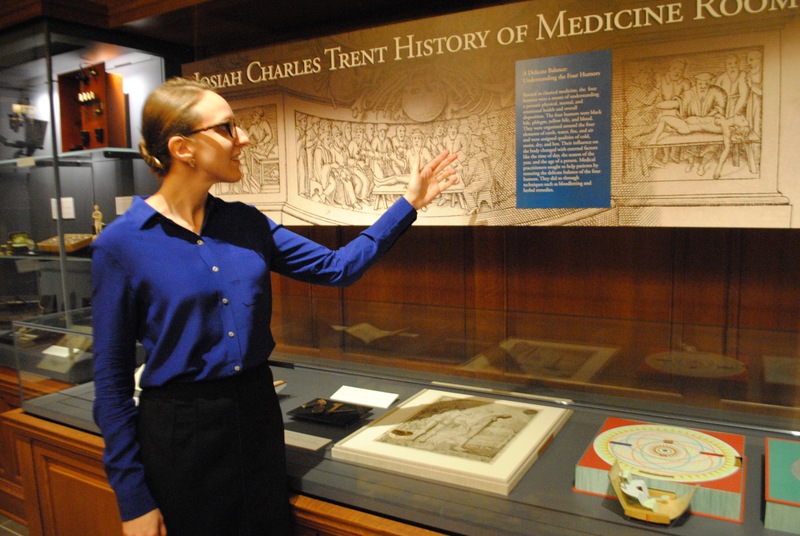 Ashley Rose Young, curator of “A Delicate Balance” exhibit, giving an exhibit talk in the Josiah Charles Trent History of Medicine Room, David M. Rubenstein Rare Book & Manuscript Library, Duke University. Photo credit: Jennifer Scott. Post contributed by Ashley Rose Young, a Ph.D. candidate in History at Duke University and the Business History Graduate Intern at the Hartman Center. I’m so excited to see this exhibit, Ashley!! You just keep doing amazing work! Thank you, Nicole! I really appreciate your support! I’m currently working with a team of curators at the Hartman Center on a new exhibit entitled: “Agencies Prefer Men!” The Women of Madison Avenue, which explores the history of women in advertising. It opens November of this year in the Mary Duke Biddle Room in the Rubenstein Library.